Natalie joined Christian Family Solutions in July 2017. She received both her Bachelor’s (BSN) and Master’s (MSN, FNP) degrees from Westminster College in Salt Lake City, Utah. 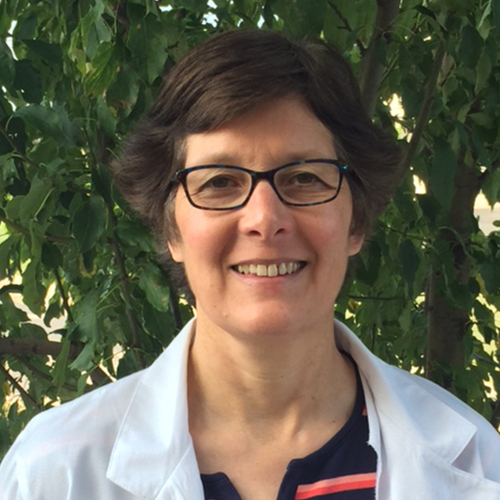 After 29 years in the industry, she recently completed an accelerated online post-Master’s Psychiatric Mental Health certification program (PMHNP) from the University of St. Francis in Joliet, Illinois. Natalie has 19 years’ experience as a Family Nurse Practitioner in several arenas, which include chronic pain management, neurology, occupational health, and travel medicine. She also has a specialty in internal medicine with a subspecialty in women’s health. She taught clinical rotations for nursing students at Fox Valley Technical College in Appleton, as well as at the University of Wisconsin-Oshkosh. Natalie worked as a hospital RN for 12 years prior to becoming a nurse practitioner. Initially she worked in women’s health in southern California, followed by in-patient psychiatry in Salt Lake City in a large children’s hospital, serving the Intermountain West. Natalie is able to diagnose, treat, and prescribe for most mental health conditions. She utilizes GeneSight testing, which takes the guesswork out of determining which medications are most effective for the individual. Natalie works in tandem with the counselors at Christian Family Solutions on-site at the Appleton clinic, as well as sees clients via telehealth (secure video) throughout the state of Wisconsin.